Previously, we wrote about some Free Cloud Applications. We mentioned about a Free Cloud OS too. In this article, we will dedicatedly write about these Cloud OS. Cloud OS is powered by Cloud computing that provide the computing services over the Internet. Cloud OS enables to use a powerful OS with minimum system configuration with good Internet Connectivity. Currently there are more than 30 Cloud OS providers, either free or paid. What can be done from the Cloud OS? Whenever a person ignorant about Cloud OS hears the word “Cloud OS”, he / she feels, its just a collection of few Web Based applications. This misconception about Cloud OS might have taken birth from publicly well known Google Chrome OS, which actually offers only a percentage of the power a Cloud OS can provide. Most might believe that Cloud OS are of little use but the applications can join a variety of services in one place, without the need of installation or better hardwares. The most important and striking feature of Cloud OS is that, it allow yous the user to run several tasks at once, such as listening to music, reading and editing a photo at the same time, which the might Netbook probably would never do at one moment. There are several companies who provides Cloud OS service, some are free, some are paid. You can try eyeOS by clicking this link. 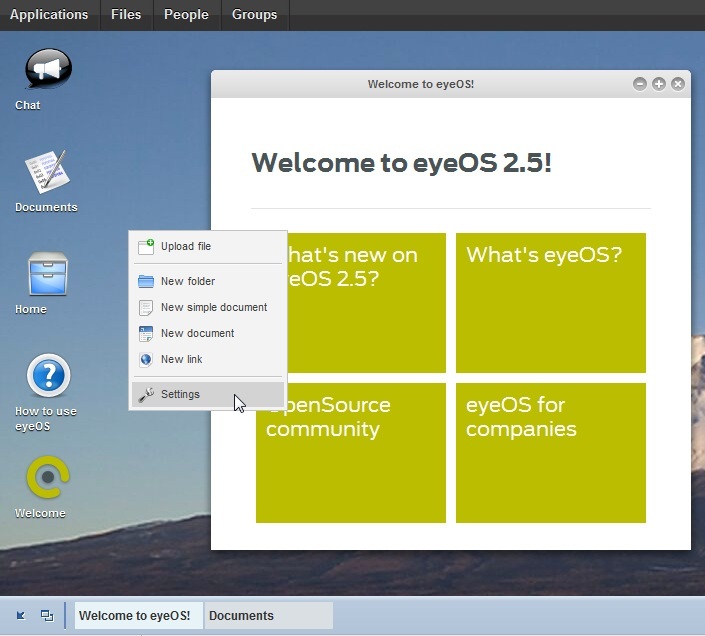 eXo WebOS : This Cloud OS provides desktop, Applications and files, you can work from your home or your office. Cloud OS can be free or paid. Clous OS service can be used within one company, running it on own Cloud Servers ; or can be used while hosted on others’ infrastructure. We have to keep in mind about the general privacy and security issues while using any free public cloud services, that includes Cloud OS as well. This Article Has Been Shared 5843 Times! Cite this article as: Abhishek Ghosh, "Cloud OS : Features, Characteristics and How it Works," in The Customize Windows, September 1, 2011, April 20, 2019, https://thecustomizewindows.com/2011/09/cloud-os-features-characteristics-and-how-it-works/.